The true value of this deal should not be mitigated by the amount paid, but how it changed, evolved and pushed a traditional mass media institution to think about their business in a very different and new light. In the end, the buying and selling of Myspace will be a positive business move for News Corp. I realize how silly that may sound to investment bankers and venture capitalists, but it's true. 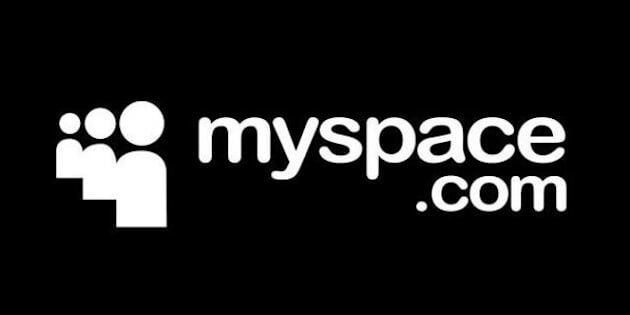 In June 2006, Myspace became the most popular online social networking site in the United States. It's a position that it held until 2008 (that's when Facebook starting taking over). Many people thought that our world had gone insane when Rupert Murdoch's News Corporation (the parent company of Fox Broadcasting and many other media companies) bought eUniverse (the owners of Myspace) for $580 million in July 2005 only to sell Myspace (which was valued at $327 million in the initial sale) to Specific Media for $35 million in June 2011. For those weak in the math, that's only six years later. Did Facebook's success and the changing landscape of Myspace make it an undesirable business moving forward for News Corp? The data tells a very different story. According to the Wikipedia entry for Myspace, the company had a 2009 estimated revenue of $385 million with over 30 million users as of June 2011. And, while the company was estimated to be worth somewhere between $50 to $200 million when News Corp. put the company up for sale in February of this year, there's another piece of data that many media pundits don't know: Myspace is second only to Yahoo! in terms of it's technology and capacity to not only collect data about its users, but its ability to target them with more qualified ads. This tells a very different story than the one we're getting in the mass media (and from those who are playing armchair quarterbacks from the comforts of their keyboards). What do you think News Corp. learned about new media during those six years? Education should be expensive. And, while this is a lesson that Rupert Murdoch is now learning the hard way through the News of the Worldphone hacking scandal, the opposite could be said about Myspace. News Corp. owned Myspace prior to it becoming the number one online social networking hub. They were there when the magic happened. They were able to live and breathe not only the excitement of the new consumer, but the innovation, insights and new media strategies that were required to get it to number one and keep it there. News Corp. had intimate knowledge of what worked (and what didn't) in the social media sphere. Money was pouring in (unlike Twitter and Facebook, Myspace was always an advertising-driven initiative), and while the story goes that Murdoch was said to be frustrated with Myspace in terms of it being a hub for Fox's content, what News Corp. got (beyond the dollar amount) out of owning Myspace should never be diminished. What do the other mass media news companies need to succeed? If you asked the same media pundits who are snidely taking potshots at News Corp.'s perceived failure of Myspace, those same pundits will tell you that companies like Time Warner, Disney, General Electric, etc., need innovation and better insights or that these massive companies need to think like a Facebook or Twitter or that they need to create the next Facebook or Twitter. The truth is that few companies will be able to be that entrepreneurial. The truth is also that for a company like News Corp. to be like that, they will have to pay a premium to get those skills. I consider the sale of Myspace to News Corp. that kind of premium. Would News Corp. have pushed out something like The Daily iPad app had they not started to integrate the culture of Myspace into the organization? Who knows, but they're learning and trying to build new media platforms in a world that favors two people and a Skype connection running a new media start-up over a massive media corporation. We'll see whether or not Justin Timberlake and Specific Media can turn around Myspace now. The tragedy of this deal will be if News Corp. wound up learning nothing from it. The true value of this deal should not be mitigated by the amount paid, but how it changed, evolved and pushed a traditional mass media institution to think about their business in a very different and new light.